In recognition for his contributions to the satellite navigation systems StarFix and OmniStar. Becoming operational in 1984, long before GPS and using privately owned satellites, StarFix provided high accuracy location, at first primarily for the oil industry. StarFix development began around 1982, and in 1984, Lee Ott was hired to complete the development. He designed the satellite uplink, wrote orbit tracking and user interface software, and was the technical leader during final development. He became StarFix General Manager when the system became fully operational. StarFix initially provided an accuracy of two meters, far better than the radio systems it replaced. Just as importantly, it was available 24 hours a day, whereas radio systems, dependent upon the ionosphere, were not. StarFix was eventually replaced by differential GPS technology, keeping the name StarFix because of its worldwide brand recognition. The collection of services became known as OmniStar, and it provides precision satellite position and navigation services for agriculture, the oil exploration and extraction industry on both land and sea, for construction, map making, aerial surveys, and other uses. OmniStar is a subscription service, providing corrections to standard GPS receivers to achieve an accuracy of 2 to 6 cm in its highest level of service. Whereas standard differential GPS calculates a correction based upon a nearby single reference point, OmniStar uses multiple references simultaneously. Its technology provides accurate corrections even at sea. The marine standard for differential GPS was developed by the Radio Technical Commission for Marine Services, and Ott played a leading role in this development. That standard remains in use today, and is one of Ott’s most important contributions. In recognition for his exemplary service to the department serving as the former chairperson of the department’s External Advisory Board. Raj Aggarwal was honored for his service to the department as the longtime chairperson of the External Advisory Board. Serving on the board since Spring 2000, he worked hard at strengthening the connection between the department and industrial and government groups and was always interested in the growth of the department. His approach has been described as refreshing and creative, as he always presents a unique and necessary perspective. Aggarwal left the External Advisory Board and joined the Iowa State University College of Engineering in April 2010. He currently serves as an adjunct professor for the ECpE department and managing director of advanced research and technology. Since 1998, Aggarwal had served as vice president of research and technology at Rockwell Collins. While there, he focused on external collaborations to build a customer-funded research and development enterprise that exceeded $20 million. He earned his PhD in electrical engineering from Purdue University in 1974. In recognition for his exemplary service to the department serving on the External Advisory Board, recruiting Iowa State graduates, and serving as Texas Instruments’ executive sponsor for Iowa State University. Bruce Trump, an Ames native, joined the External Advisory Board in February 2007 and has served as the chairperson of the board since May 2010. Trump has been described as being straightforward in dealing with business, dedicated towards the role he was asked to perform, serious about the quality of education in the ECpE department, and therefore truly deserving of the award. He has been active in recruiting Iowa State graduates over the last 25 years and serves as Texas Instruments’ executive sponsor for Iowa State University. 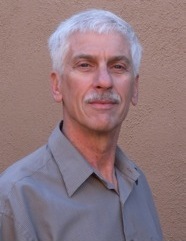 After two industry positions involving circuit and system design he joined Burr-Brown Corporation, Tucson, Arizona, in 1979. Texas Instruments acquired Burr-Brown in 2000 to bolster its position in high performance analog integrated circuits. Bruce has served in a variety of roles including design manager, applications engineering manager, and product line manager. He is currently involved in strategic planning for development of high performance amplifiers, voltage references, temperature sensors, and various other precision analog integrated circuits.